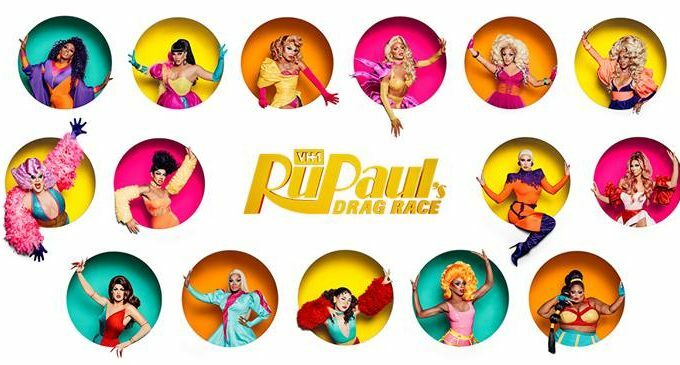 In celebration of the upcoming 11th season of “RuPaul’s Drag Race,” here’s a rundown of the queens who will be snatching your wigs starting next month. Winning Miss Black Universe and Miss International Vogue in 2017, A’keria Chanel Davenport has proven she’s worthy of a crown. The Dallas native is the niece of “RuPaul’s Drag Race” alumnae Kennedy and Sahara Davenport. A’keria’s lip syncs are polished, high-energy renditions of primarily female hip-hop. As the show’s very first Canadian queen, Brooke Lynn Hytes is already making history. During her official “Drag Race” “Meet the Queens” interview, Brooke confessed her biggest weakness is an initial lack of personality, but all will be redeemed once she performs. New York City native Honey Davenport is the drag mother of “RuPaul’s Drag Race: All Stars” season four and is also related to Kennedy and Sahara Davenport. Honey is a seasoned drag performer who sings professionally and experiments with different performance art forms. Like the Davenport girls, Kahanna Montrese is a queen with royal “Drag Race” blood flowing through her veins. Kahanna is the drag daughter of the iconic CoCo Montrese. As a Las Vegas showgirl, Kahanna promises over-the-top glam and performances. Mercedes Iman Diamond is also making history as the show’s first Muslim queen. Mercedes hopes to inspire Muslim LGBTQIA+ and be a constant reminder to them that they should never be ashamed of who they are. Nina West is best described as a charitable comedy queen reminiscent of drag icon Lady Bunny. After winning Entertainer of the Year in 2008, Nina has managed to raise over $2 million for the LGBTQIA+ community in Columbus, Ohio. Although Plastique Tiara is the youngest competitor, she is not to be taken lightly. The prodigy is the drag daughter of “Drag Race” alumna Alyssa Edwards. Some of Plastique’s biggest strengths include her wig-making and her mouth-dropping stunts. Ra’Jah O’ Hara is another local Dallas queen whose lineage is tied to the iconic Davenports. Ra’Jah has been doing drag for more than 10 years and likes to paint when she has the time. Miss Envy describes her drag as a combination of New York City and Southern glam. This glam-camp Brooklyn baby is sure to bring the looks and drama “Drag Race” is known for. The oldest queen of the season, Shuga Cain is full of life, warmth and vibrancy. When the sugar-sweet queen is out of drag, she throws down in the kitchen. Although she seems laidback, she should not be seen as any less of a threat during the competition. She’s soft, she’s sweet and she’s chocolatey. Silky Nutmeg Ganache is a Chicago queen with a Southern heart, flaunting her Mississippi roots during her drag performances. Representing curvier queens, Silky is well-versed in the world of pageants and is a highly talented singer. Known for her YouTube channel where she interviews other queens and critiques “Drag Race” episodes, Soju is a Chicago queen who hopes to bring something new to drag. Soju is a self-proclaimed “K-pop queen” and is highly inspired by South Korean idols. Miss Vanjie. Miss Vanjie. Miss Vanjie. This returning queen stole the hearts of fans during “Drag Race” season 10 but was eventually eliminated. Miss Vanjie is the drag daughter of “Drag Race” alumna Alexis Mateo and boasts the skills of a trained dancer. If you loved “Drag Race” alumna Sharon Needles and prefer gore over glam, Yvie Oddly is your girl. As season 11’s resident alternative queen, Yvie’s performances aim to push the boundaries of drag and throw her audience off guard with her macabre performances.